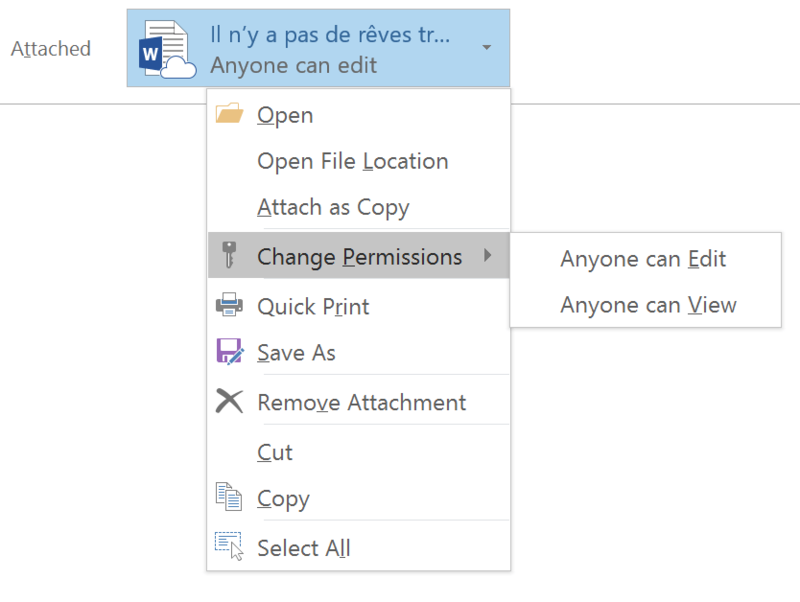 If you are used to send documents through email, this new Outlook feature will save you a considerable amount of time. This requires either the latest version of Office (Office 2016) or an Office 365 Subscription. Let’s say that you are working on a word document and you want to send this to one of your contact. You save that document and are ready to share it via email. You go to Outlook to compose a new email by clicking on the New Email button. In the new email window, go to Insert, then click the Attach File button. The drop-down list contains the last 12 documents you opened recently. If your file does not appear in the list, you can always browse the PC. If you’ve just closed or save the file, there are good chances it’s there. A second new feature concerning smart attachement is the use of the cloud. Note that the first Word file in the list above comes from OneDrive. If you select this file, below shows the way it’s going to be attached. The file icon has a small cloud and next to it you see the text Anyone can edit. What Outlook is doing is sending a link to your recipient(s) and sharing the document by applying edit rights. You are able to change permissions if you want only view rights: Click on the arrow, choose Change Permissions and select the right permission. 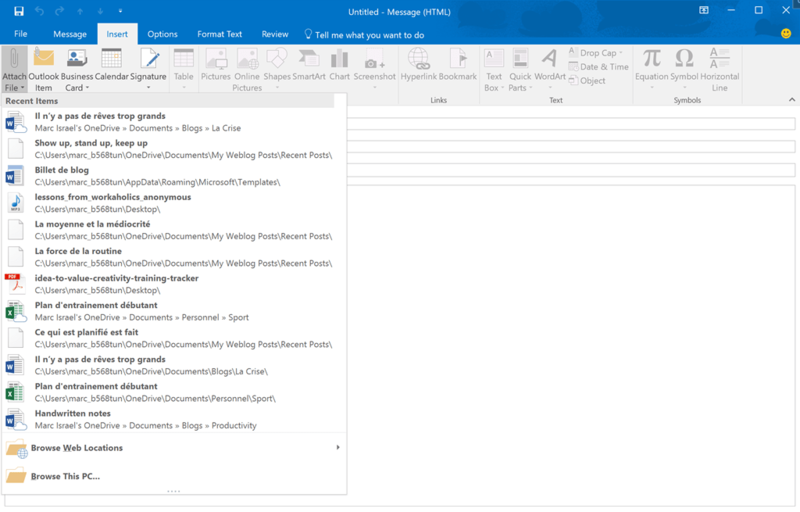 Those two new features are great additions to Outlook to help you getting more productive and to avoid the multiplication of the same document by back and forth emails.